After months and months of waiting we finally got a new Star Wars movie that will be airing next month! Force Awakens is going to be huge. People are already raving about how excited they are, and the traffic the movie trailers are seeing indicates we’re about to have a another box office smash hit! You can watch the star wars force awakens trailer here, where you can see the making of the force awakens. 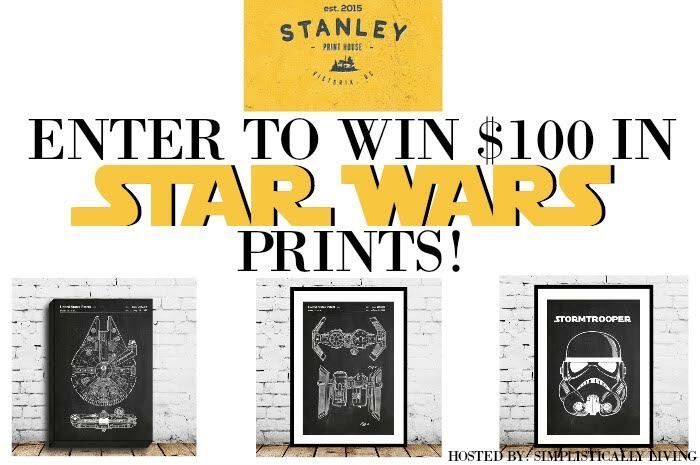 If you are a Star Wars fan like most are then you are going to be excited about this giveaway…I recently came across a shop called Stanley Print House that has star wars force awakens merchandise This etsy shop is super cool and lots of amazing Star Wars decor. Don’t worry this shop has lots of other great home decor that isn’t Star Wars related so there is something for everyone! I started my shop in late 2014, and have been keeping busy ever since. My passion for art and graphic design have led me to this point in life. I enjoy working with these vintage patents that we have all owned or came across in the past. They are digitally restored and made into modern art pieces. I hope you see something you like, and if you can’t find what you are looking for, then just ask and I can do a custom order. This shop has some great items that would make perfect holiday gifts. If you have a Star Wars fan to shop for (and I am sure we all do) make sure you check out his custom clocks and pillows. You can check out his full Etsy Shop Here. Ready for the best part? We are teaming up to offer an awesome giveaway to you all! 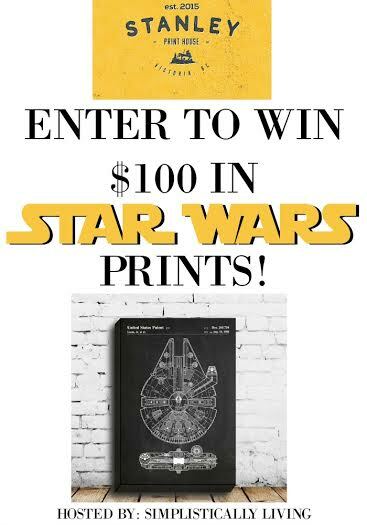 Stanley Print House is giving away $100 in Star Wars prints (or prints of the winner’s choice). How awesome is that? Entering is simple. Enter using the Rafflecopter widget below. Winner must reside within the United States. Giveaway ends 11/30/15. Win a Set of Pink Rose Monograms Items!